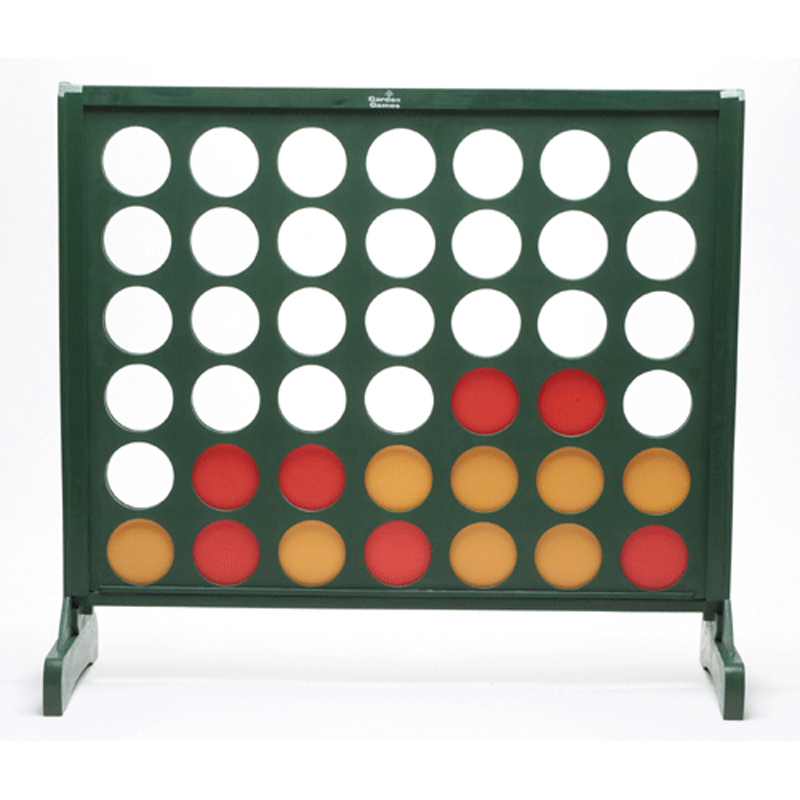 Big 4 smart wooden game. A giant version of the table top game to play inside or out. Standing 1.2 m tall x1.2 m wide, painted dark green with plastic yellow and red counters. The game requires skill, strategy and a sharp eye as players aim to get 4 counters in a row whilst stopping their opponent from doing the same.